A fine oil on canvas on board which dates to circa 1930 by noted British artist Harold Dearden. 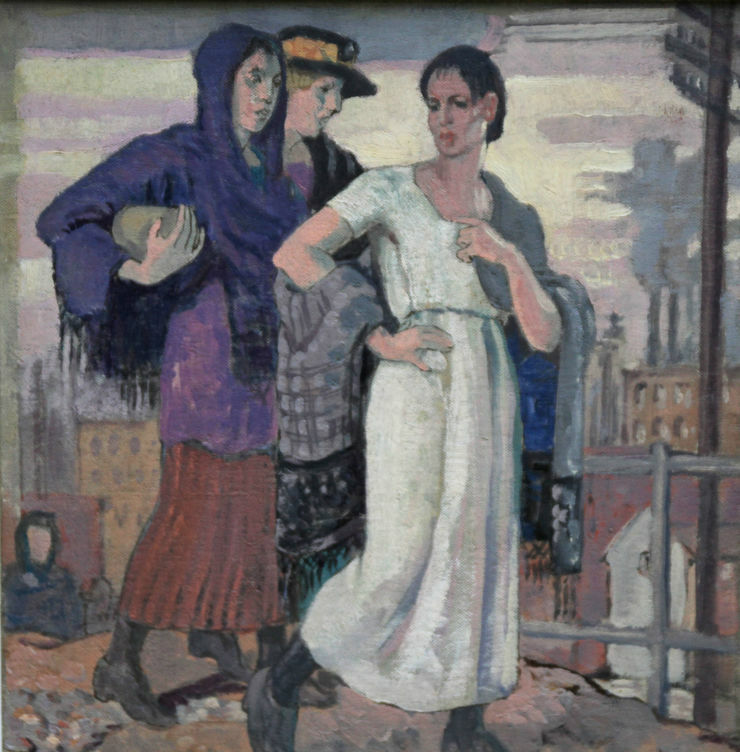 It is a super Art Deco portrait oil painting which depicts three women in an open landscape. A modern British "Three Graces". In Greek mythology, a Charis or Grace is one of three or more minor goddesses of charm, beauty, nature, human creativity, and fertility, together known as the Charites or Graces. Full of vitality and Post Impressionistic colour. 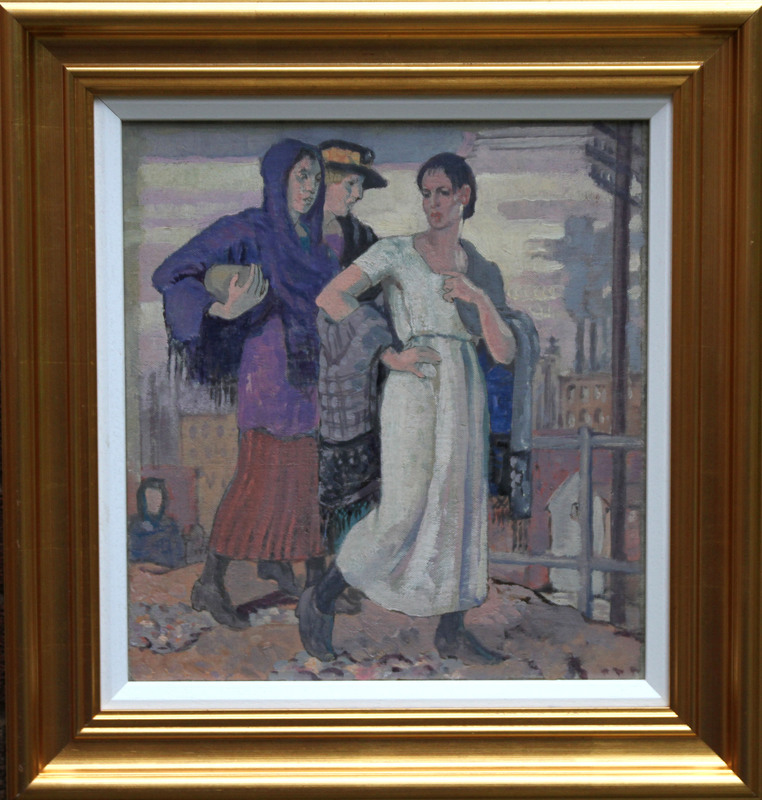 It is a fine period British Impressionist oil painting. Framed in a gilt gallery frame. 19 inches by 18 inches. In excellent condition.